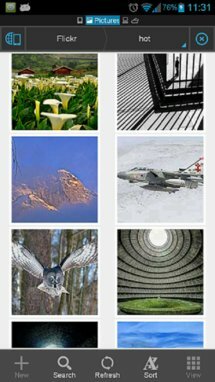 When looking to recommend the best file browser, I could easily pick two or three incredibly powerful ones and forget twenty others that are just as excellent. 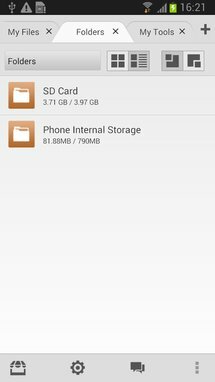 If it cuts and it pastes, if it compresses and renames, if it accesses Dropbox and Google Drive, then it's enough for most Android users. That's why I decided to focus my selection on powerful file browsers with a little added something that makes them special. 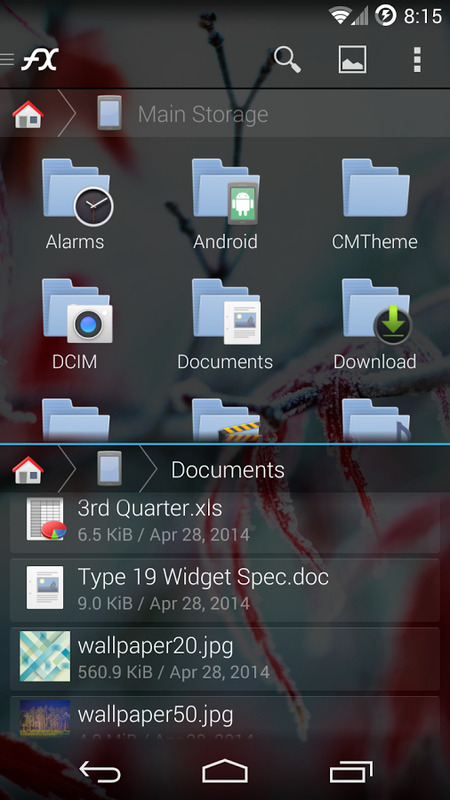 ES File Explorer is the kitchen sink of file browsers on Android. 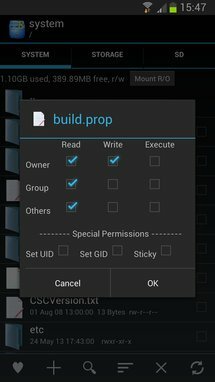 Imagine any file operation you could possibly want to perform on your phone and ES most likely handles it. It's a local, network (SMB, FTP, WebDAV), and cloud (Dropbox, Box, Sugarsync, Drive, Skydrive, Amazon S3,...) file manager, with built-in media and text viewers, themes, a recycle bin, root exploring, and permissions management. 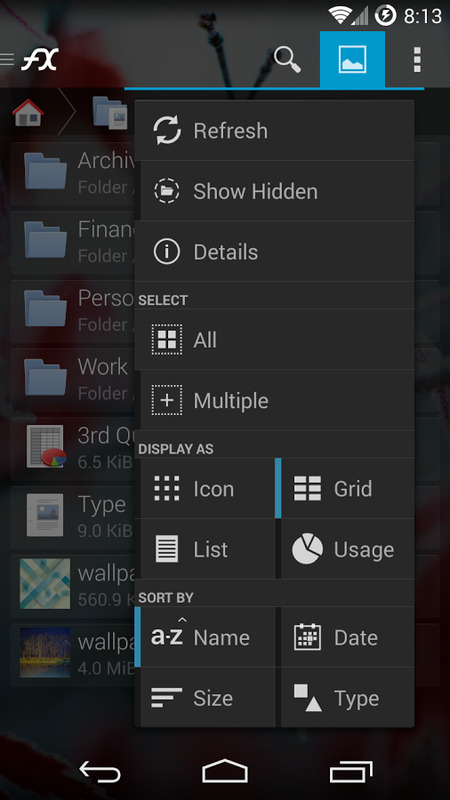 ES File Explorer also crosses over to the app management side, with batch app backup, sharing, and uninstalling. A separate Task Manager module gives ES the power to clean the device's cache, manage apps and the triggers that autostart them, and optimize power consumption. 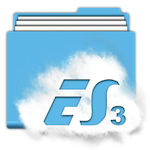 With all of its power, ES File Explorer has one feature you can't beat: it is completely free and ad-free. And to sweeten the deal, it adds a fast search function, storage analysis, and a nifty window view that lets you quickly switch and close your open directories. 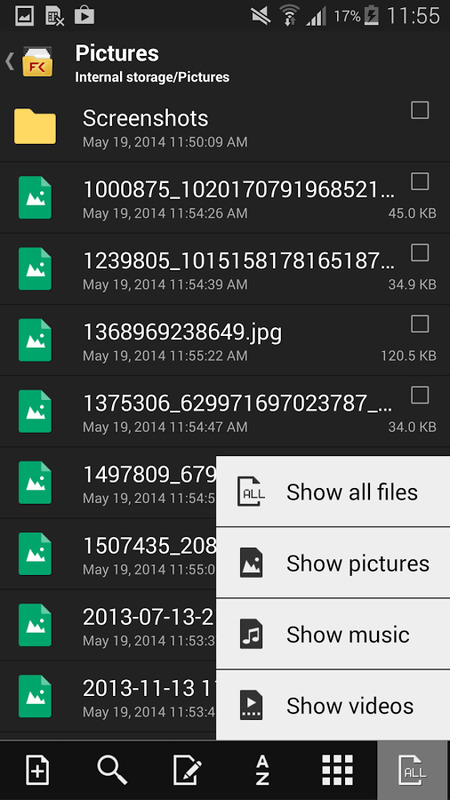 Another staple of Android file managers is Root Explorer, a hacker's best friend. But let's start with the basics first. 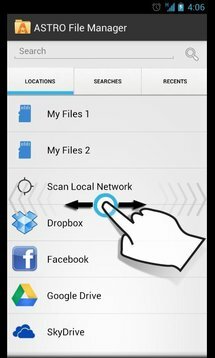 Root Explorer has network (SMB) and cloud support (Dropbox, Box, Drive), multiple tabs for easy switching between directories, search, and compression and extraction capabilities. 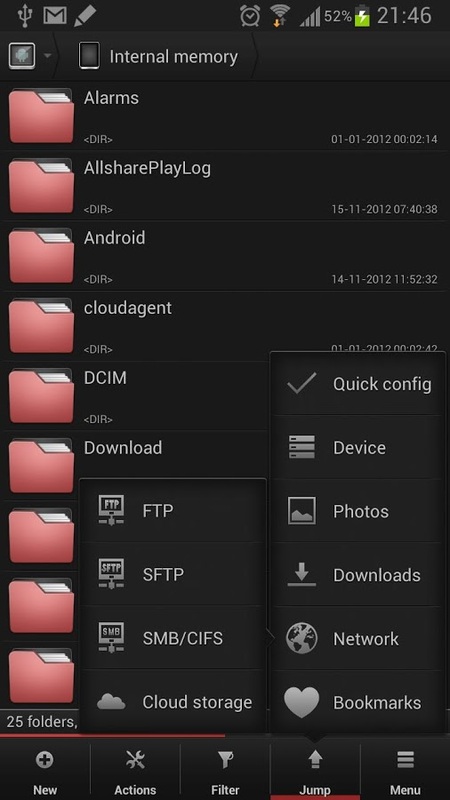 You could easily use Root Explorer as a regular file manager, but that would be a waste of its true talents. If you are rooted, the app gives you full access to your device's storage and lets you modify a file's permissions. 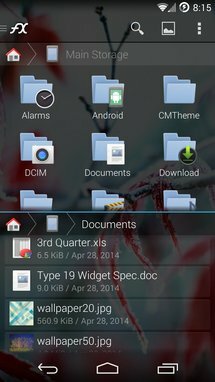 It also comes with many hacker-friendly features, like scripts, SQLite database and APK binary viewing, and a useful desktop-like "Open With" option that lets you specify which apps should handle a certain file or file type. At first glance, you may wonder why Solid Explorer is a paid file browser while most other apps on this list with similar capabilities — Root Explorer excluded — are free. There's a good reason for that, many good reasons actually. Solid Explorer starts by offering some cool features like dual panels, a modern interface with drag-and-drop interactions, easy multiple selections by clicking on an item's thumbnail, and a handy filter for quick searches inside directories. 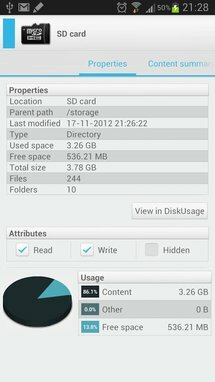 Where it excels, however, is with all the added options that are rare to find, at least simultaneously, in other file managers. 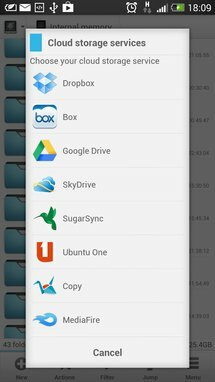 There's an Airdroid-like WiFi sharing option that lets you access your phone from any browser on the same network, Chromecast support to send your media files to the TV, a pre-indexed search that speeds up the process of finding files, a detailed storage analyzer for every directory, encryption with a master password, file type and app associations, and dozens of useful settings for granular control over the look and performance of every aspect of the app. Most importantly, Solid Explorer is a joy to use. 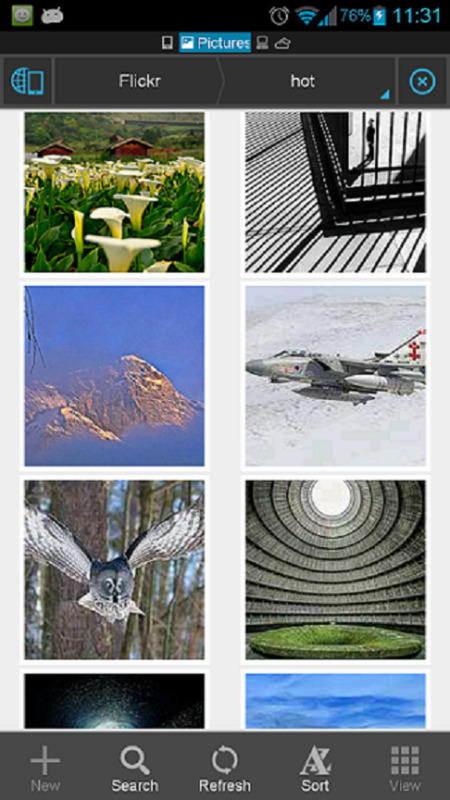 It is responsive, easy on the eyes, and despite packing so many features, it remains intuitive and oddly simple. Like ES, Astro sits in the Android file manager hall of fame. 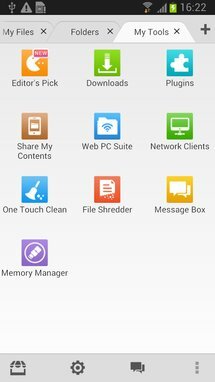 It has been available for years, adding feature upon feature, from cloud storage, to app management, viewing options, file compression, storage analysis, and more. Its killer capability though is an extensive search engine. Not only will it index and look through your local storage, but it also does it on all of your network and cloud services. Whether you forgot where you saved that particular document or you just want to view your Dropbox and Facebook photos together, Astro will handle those requests with ease. With a simple icon, it will indicate where every file is located, letting you hop between that Drive music file and that Skydrive video as easily as if they were stored on your phone. 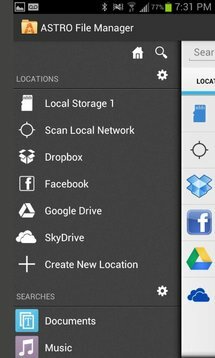 Despite its downsides (legacy Settings menu, low resolution graphics, ads), Astro deserves a permanent stay on your Android device if you have multiple cloud accounts that you use simultaneously. 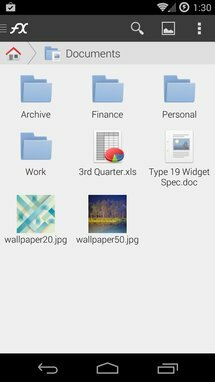 File Expert started out as a simple file browser and grew to become much more than that, with almost every feature you can ever imagine in a file or app manager thrown in. It can get pretty daunting though, so you may want to look elsewhere if you don't want to go through a learning curve just to open a folder and copy a few files. File Expert has significant differences in three areas. 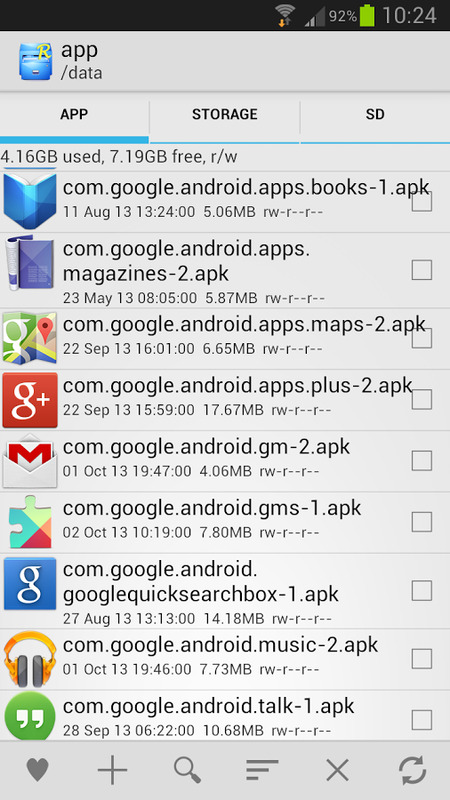 It uses browser-like tabs to let you jump between different sections of the app or storage directories. It also has an add-on system that keeps the basic app free and (relatively) light, but offers more paid options should you need them. 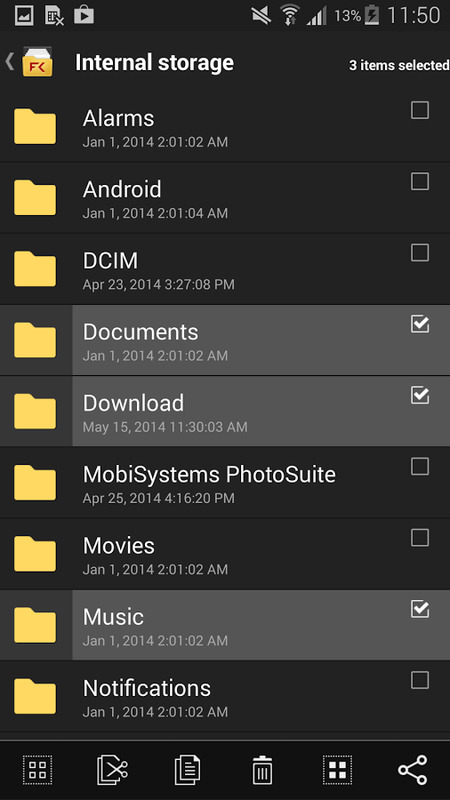 And it finally has full access to the external storage on some KitKat devices, without root access. 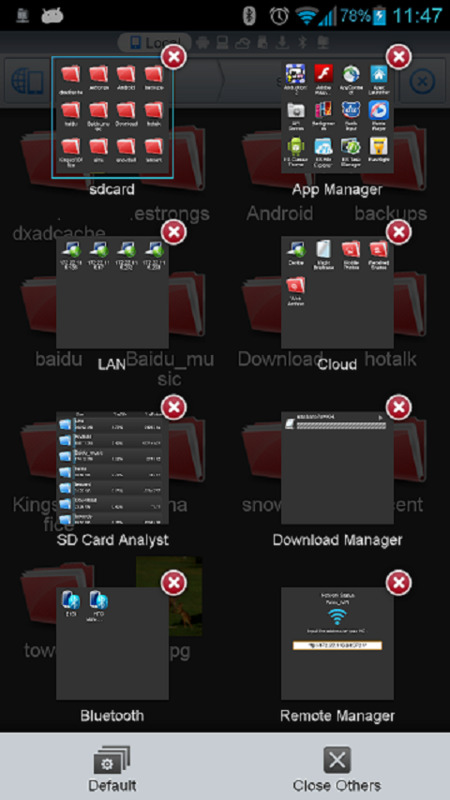 Don't let FX File Explorer's Play Store screenshots fool you into thinking it has an ugly or user-unfriendly interface. I don't know why the developer opted to focus on showcasing the app's transparent theme, but it's the white one, visible in the first screenshot below, that I'm personally a fan of. 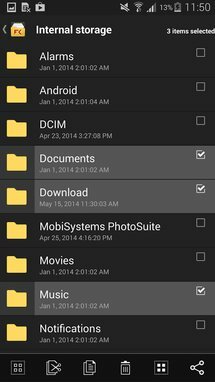 It's also the only app in this file browser list that looks at home on my Nexus 7 running Android L.
With its grey typography, card-inspired grid design, and overlaid sliding left and right panels, it's more reminiscent of Material Design than Holo. That's even more true if you choose to use the light green Trim color under theme settings. 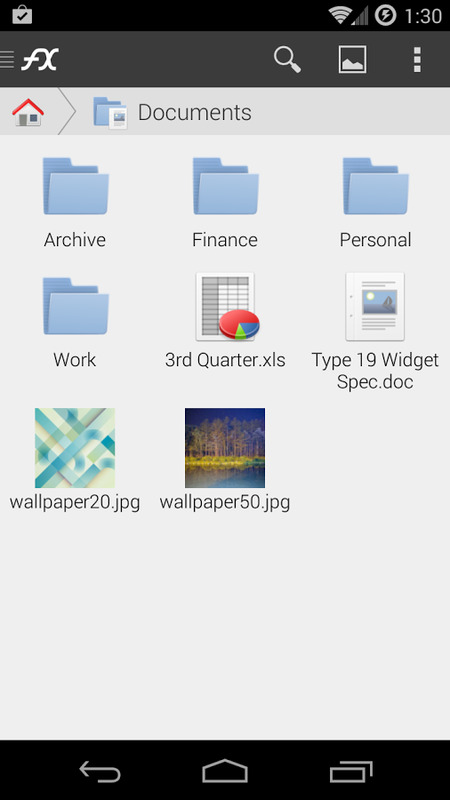 Another significant feature of FX File Explorer is its Split Window mode. 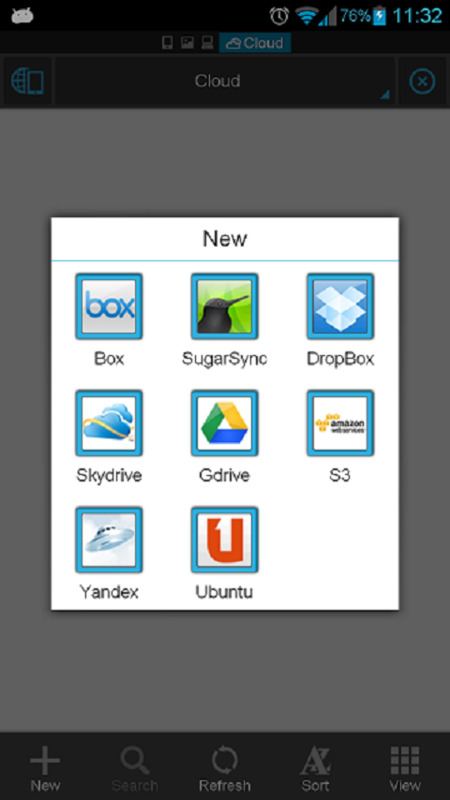 Simply drag the home toolbar from the top to open another window. To close it, you can drag it again toward the bottom until you see it turn red and disappear. 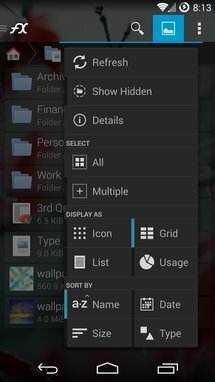 Then there's the simple gesture of swiping across a file to select it, or pinching to enlarge grid and list items, and the very handy Usage view that displays a storage analyzer on top of the current directory with nice indicators next to each item. 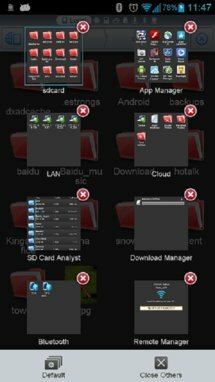 FX packs a lot more options, some in its default free app, others in its free Root Access add-on, and even more through a paid Plus add-on. File Commander doesn't offer any option that you couldn't find in other file browsers on this list. 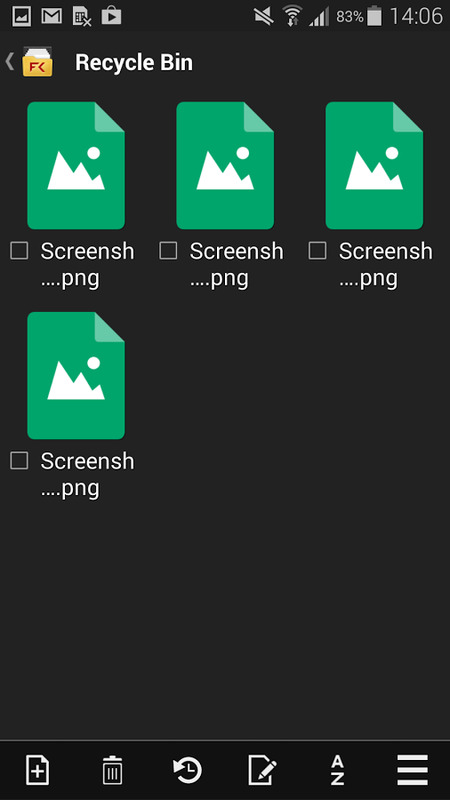 From basic file management to cloud storage support, multiple view and sort options, compression, bookmarks, and a recycle bin, it provides the reliable feature set of many other alternative apps. Its unique feature is the visual design. It's one of the very few file browsers with a quasi-flawless design guideline for the user interface. 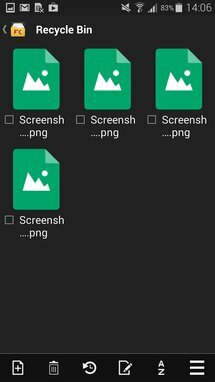 While that comment is more a criticism of the other apps than a praise of File Commander, it still deserves some credit for its clean design and pixel-perfect graphics. By comparison, ES File Explorer opts for unusual tabs at the top, Root Explorer is boring and stuck on its ICS looks, Solid Explorer uses its own design language, Astro has legacy pre-ICS settings and low-resolution graphics, and File Expert and FX File Explorer's iconographies are out of place and skeumorphic. 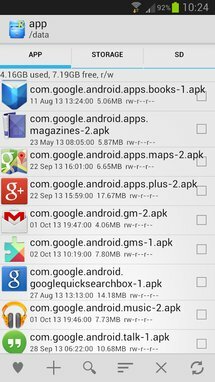 If I was set on listing every good file browser on Android, there wouldn't be enough time in a week to go through them all. 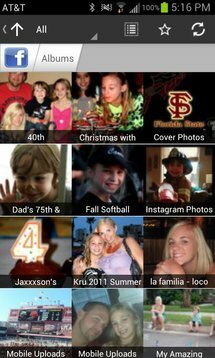 That's why this article is limited to a selection of 7 powerful apps with a few unique attributes that help differentiate them from their competition.